• Track your progress (New! 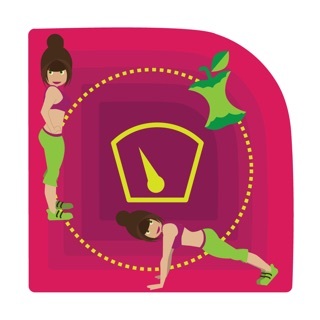 Visual weight tracker – See your weight drop). • Make small, healthy lifestyle changes - You'll never forget to drink water again! • Boost your weight loss motivation with our inspiring tips and quotes. Keep photos that motivate you and be reminded about it! Visualize your success - If you can picture it, you can do it! 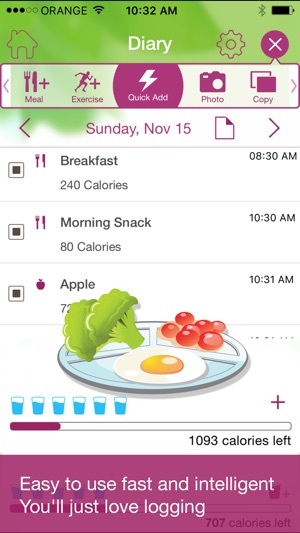 • Diet diary and calorie counter - Easily log, save time, avoid distractions. *** What makes it so fast and easy? • Log repetitive meals and exercises just once!!! 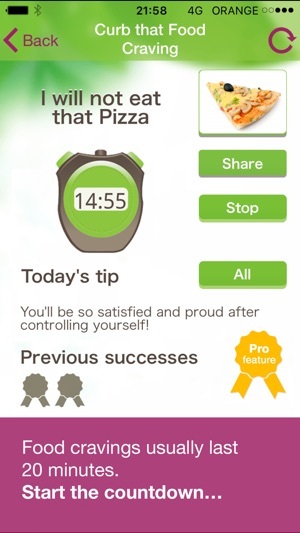 Complete integration with Apple's Health app for weight and calories. Your data is shared with Health only according to your permissions and preferences. (From app's settings page). Integrating Health will import and export calories consumed and burned into the diet diary as special Health rows. Calories will also be added to the daily summary. Measured weight can also be imported and exported and will appear inside app's weight chart. The app offers a Monthly and a Yearly premium subscriptions. Those subscriptions are offered now in a special Launch price and will grant you an advanced coaching program!!! •The subscription are renewed automatically. Keeps me motivated! Only thing that works for me! I love the rewards. They seem silly for an adult, but I get so bored and these keep it more stimulating. Plus, you get rewarded for healthy habits even if you haven’t lost weight. Entering products/calories is also easy, so I’m more likely to keep up with it. 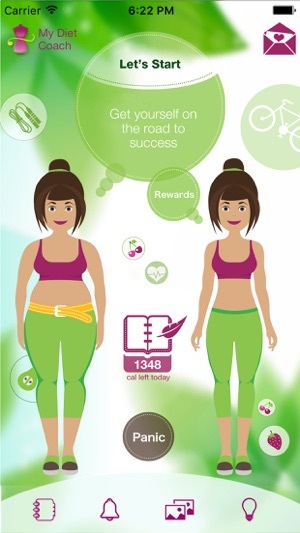 Before I restored, I had an older version of the app that offered the slim down avatar and the weight chart for free - those were both super motivating as well! I’m debating upgrading to pro just so I can get those features back. The quotes and panic button were also super helpful to me in the beginning when I was struggling to break habits and cravings. LOVE it! It’s the only app that works for me because it doesn’t get boring. If anything, more options for clothes (or replacing some of the clothes with more trendy versions) would be my main request. I plateaued and regained weight after a super successful year (now I’m successfully restarting)... part of it was the plateau, but I also think part of it was because I’d chosen all of the clothes/accessories I liked and wanted, so I became disengaged. Awesome for short term/teaching goals, but I would LOVE features to make it an app I can use for years, and something to keep me more engaged after I reach my goals would’ve been awesome to keep me from regaining the 40 lbs I lost using the app. I love that this app is so customizable - you can add your own pictures for motivation, make your avatar look like yourself, create unique challenges, and scan the barcodes of food items to instantly upload their nutrition information. I would highly recommend getting the pro version in order to take advantage of all the features. This app also includes a game-like leveling system in which you earn points for sticking with it. I like this system a lot, but there is one thing I would change about it: the fashion items. As you earn points, the game gives you clothing items to put on your avatar, but these clothing items are generated randomly and most of them don't fit the avatar well at all. I'm trying to lose weight - I don't want to plaster my ideal self with ill fitting clothes that make her look bigger than she is! I wish that the fashion items actually fit the avatar, and I wish that I could see a list of items to buy and save up my points to get the things I really want. Sometimes that would be all the motivation I would need to do a few extra squats or drink a little bit more water. 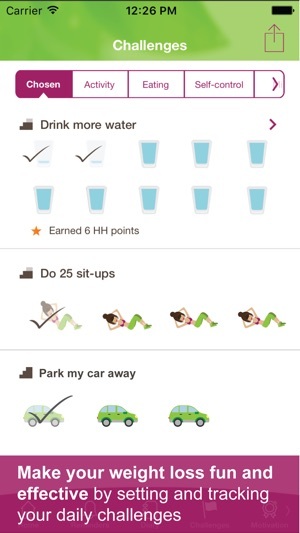 Other than that, this app is a wonderful tool that has already helped me lose weight and be more mindful of myself. Update two: definitely wasn't worth paying for the upgrade. Immediately regretted it and hit cancel but it will not refund your money. Since then I have downloaded other apps and even deleted this one. "Lose it!" is so much easier to use and works properly without having to spend five bucks a month or $20 a year. They do have premium options available, but what they do provide is good enough that I don't feel the need. If u quick add a food, the calories register, but the nutritional info doesn't. So, when you check your nutritional summary for the day, it is way off. Also, i can't find any place to track water other than my water challenge. If I choose a different challenge, I don't know how I'll track water. Finally, if you logged a food eaten and forgot to classify that food as a meal or give it a name before you push done, it won't let you go back in to add it as a meal or give it a name.